If you’re looking to trade cryptocurrencies on your Mac, we’ve compiled the best cryptocurrency trading exchanges for Mac. The demands of cryptocurrency trading are very different from those served by stock trading software or forex trading platforms and require specialized exchanges to do it right. However, there are now technical analysis tools like the excellent free TradingView that support cryptocurrencies and help you make better crypto trading decisions. Useful stock advisory platforms like The Motley Fool Stock Advisor also provide expert tips on navigating the crazy world of cryptos and other stocks. The right crypto platform for you will depend to a large extent on whether you are a beginner or an expert with cryptos. Here you’ll find a range of crypto exchanges and trading platforms for all abilities. Be warned that the volatile world of cryptocurrencies, there’s a bigger risk of getting in above your head than trading traditional government issued currency – known as fiat currencies. Before you rush into anything, here’s a few words of advice. Never trade more than you can afford to lose – the most golden rule of all. Your capital is always at risk no matter which platform you choose. No crypto exchange is 100% secure. Crypto exchanges can get hacked or suddenly close down leaving you with nothing. Check out our guide to the top crypto wallets for mac for some suggestions on how to store your currencies safely in cold or hot wallets. Cryptocurrency trading is extremely volatile with “pump and dump” extremely common. These are basically huge increases in currency values due to buying frenzies or huge “whale” traders followed by dramatic sell-offs. Crypto trading is 24/7. In traditional types of trading, stock and forex exchanges are usually only open during business hours. Cryptocurrencies trade round the clock so don’t underestimate the toll this can take on your nerves and relationships as the temptation to keep checking your Mac or mobile all day (and night) long can be destructive. There is no regulatory framework governing the trading of cryptocurrencies. If you have any problems withdrawing funds or get into a dispute with an exchange, there’s usually very little you can do except wait for their support teams to resolve your issue. All crypto currency exchanges require you to verify your identification. This usually involved sending copies of your ID such as passport, utility bills and other proof of address. This is completely normal and to protect both you and the exchange against fraud. Note that cryptocurrency trading software is different from crypto tickers. There are several crypto tickers for Mac which can be used as desktop widgets to track the price of cryptos but don’t actually allow you to trade. If you need a crypto ticker, we recommend Coin Tick from the Mac App Store. If you’re in a hurry, below is a side-by-side comparison of our top picks before more detailed reviews. With these tips in mind, here then is a list of the best cryptocurrency exchanges for Mac. eToro has been in the stock market game since 2007 and now you can trade crypto currencies on it. eToro is huge in Europe but it’s only this year that it has finally rolled out cryptocurrency trading for users in the USA. Until recently, eToro was not available to users in the USA due to rules on CFD trading, but eToro’s new beta cryptocurrency trading platform is open to customers in the USA. New sign-ups get a $100,000 virtual portfolio and users will shortly be able to deposit real US dollars for trading. The great thing about eToro is that not only is it easy enough for literally anyone to use, it includes its own crypto wallet. This means you don’t need to worry about the exchange getting hacked or downloading different wallets for different crypto currencies to keep them safe. eToro also has a unique “copytrader” system which makes it easy to simply copy successful traders with no experience or effort needed on your part. Apart from this, eToro is also just a fun place to hang out, talk to other traders and improve your knowledge of the crazy world of cryptos. 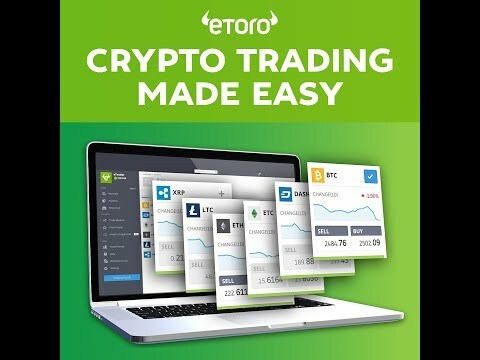 eToro also has a pretty good crypto trading mobile apps giving you a clear overview of your watchlist and allowing you to trade away from your computer. The main downside at the moment is that there are only 11 cryptos trading on eToro the most popular being Bitcoin, Ethereum, XRP and EOS but this is more than enough for those new to cryptocurrency trading to get started. You can check out our full eToro review for more information. Coinbase was one of the first crypto exchanges to get really big in the US and its popularity exploded during the Bitcoin craze. Coinbase’s popularity is mainly because it’s so easy to use and makes it easy to link and transfer funds from your bank to your Coinbase account. Coinbase has a solid reputation and has its own wallet for iPhone and Android which allows you to execute and monitor trades. Binance is your best bet for crypto-to-crypto trading. If a cryptocurrency exists, chances are it’s traded on Binance first. Binance has a huge selection of cryptocurrencies and massive trading volume. Binance is aimed more at those with some experience of cryptos and so if you’re new to crypto trading, it will feel quite intimidating. Binance is popular among the blockchain community due to the huge range of cryptos offered and low trading fees. One thing we really like on Binance is that you can set market and limit orders so that you can buy or sell cryptos automatically as soon as a certain price is reached. The other great thing for Mac users is that Binance is the only reputable cryptocurrency platform that has a dedicated cryptocurrency app for Mac desktops. The app is basically just an interface for the web app but for those that like to use a desktop app instead of a browser, it’s a big plus. Binance isn’t an ideal place to start crypto trading but it doesn’t take long to work out how to use it and the enormous range of cryptos make it a powerful crypto trading platform. Bitfinex is the busiest crypto platform out there in terms of volume with more trades than any other exchange. Bitfinex feels like a more polished version of Binance although with fewer cryptos and higher fees. 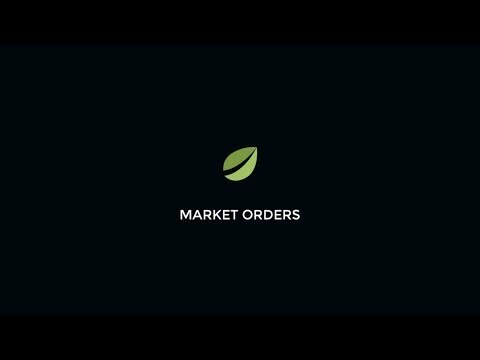 A unique feature in Bitfinex is support for margin trading with the ability to trade at 3.3x leverage via peer-to-peer margin funding. Binance offers probably the biggest range of order types of any crypto exchange. Like Binance you can set market or limit orders but we also like the fact you can set trailing stops or fill and kill orders as is common in stock trading. There are also algorythmic orders possible including Iceberg orders, One Cancels Other (OCO), Post Only and Hidden Orders. Binance also offers detailed reports and charts for technical analysis although performing technical analysis on cryptos in general isn’t as reliable as doing it for normal stocks. There’s also a pretty decent Bitfinex mobile app which allows you to trade on the move. One of the main attractions of Kraken is that it supports allows you to exchange most major currencies for cryptos. Kraken supports Euros, Dollars, Canadian Dollars, British Pound and Japanese Yen. As a result, it’s the biggest cryptocurrency trading platform for those based in Europe. Kraken claims to be the leading Bitcoin exchange but this is only true in the respect that it’s the largest Euro to Bitcoin trading exchange by volume. One thing we like about Kraken is that it’s integrated with TradingView which is one of the best technical analysis tools for stock trading. Another is that Kraken uses SEPA transfers for withdrawals meaning you will get your money within about 2 days – considerably quicker than other crypto platforms which can take weeks. What we also like is that Kraken charge just a few cents for withdrawals while most exchanges can charge commissions of $10 or more. On the downside, Kraken’s identity authentication procedure can be very time-consuming and limits are placed on trades until verification is complete. If you’re left hanging during this process or have your application declined, there’s also no phone support with Kraken. Bittrex is a US based crypto platform with a big selection of altcoins, lots of automated features and a user-friendly interface. One thing we like about Bittrex is that it uses its own custom trading engine which executes trades in real-time which is extremely quick compared to most crypto trading exchanges. Bittrex is easy to use and has handy automated features such as GTC (Good til cancelled) and IOC (Immediate Or Cancel). Most recently, Bittrex started accepting fiat currency (USD) for trading pairs although most platforms apart from Binance have supported this for a long time. Bittrex charges higher trading fees than most other exchanges and there’s no margin trading. Funds can only be withdrawn to a crypto wallet also. If you’re an absolute beginner, we strongly recommend eToro. eToro’s social trading is unique and it actually makes trading fun by connecting to you to other traders. If you’re a decent crypto trader, you can even make money when others copy trade you so it’s worth checking out if you’re an expert too. Coinbase meanwhile is about as trustworthy and user-friendly as it gets for a US based crypto platform. The fact that funds are insured will give those nervous about dipping their feet into crypto trading some peace of mind. If you’re based in Europe, Kraken is our favorite choice because of its high volume of Euro-Bitcoin trades and support for fast, cheap SEPA withdrawals to your bank account. For those that love to be on the cutting edge of new cryptocurrencies and know what they’re doing, Binance offers the widest array of trading on almost any cryptocurrency. If you have any questions, suggestions or experiences you’d like to share about the software featured here, let us know in the comments below.